CMS is a full featured Casino Management software for land based casinos. 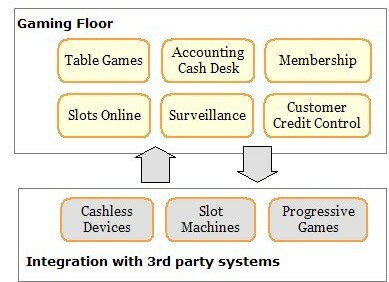 It includes Membership Control, Accounting, Table Games Management, Slot machines monitoring, Customer Credit Control and Surveillance modules. Integrations with 3rd party systems and remote module add-ons extend the software functionality for operators managing multiple casino's. The latest add-on is data exchange in terms of customer accounts, credit control and progressive game meters.